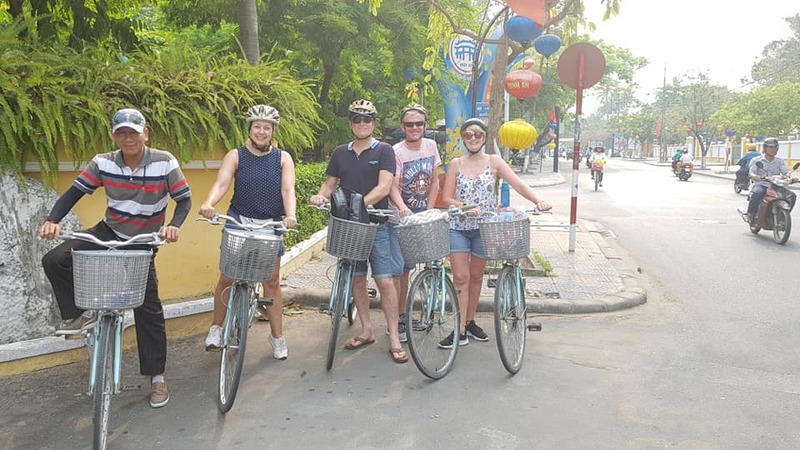 Pick you up at your hotel by bicycle or by car at 9:00 a.m, Then we go straight to visit Hoi an ancient city first. Hoian ancient town is an exceptionally well-preserved example of a South-East Asian trading port dating from the 15th to the 19th century. Its buildings and its street plan reflect the influences, both indigenous and foreign, that have combined to produce this unique heritage site. The tour includes visits to Historical Cultural Museum, Quan Cong Temple, many of the town’s renowned Ancient Houses which boast remarkable architecture, Assembly Halls of Chinese influence, a handicraft workshop, and of course the symbol of Hoi An is Japanese Covered Bridge. After visting Hoi an city centre , we stop to have lunch at local restaurant, taking a rest. then we cycle straight to cam kim island by bicycle to discover the real local people life. Cycle tour on Cam Kim island is being the highest rated tour. 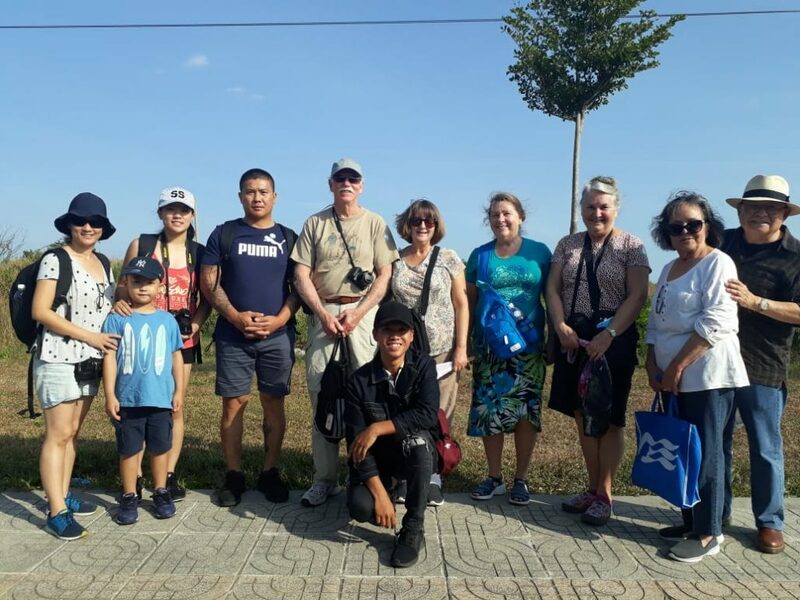 During the tour, we will visit a number of families who make delicious my quang noodles, home made rice wine and weave colorful straw sleeping mats. We will have plenty of time to chat with them and ask questions to learn about their history, local customs and way of life and join some local activities. 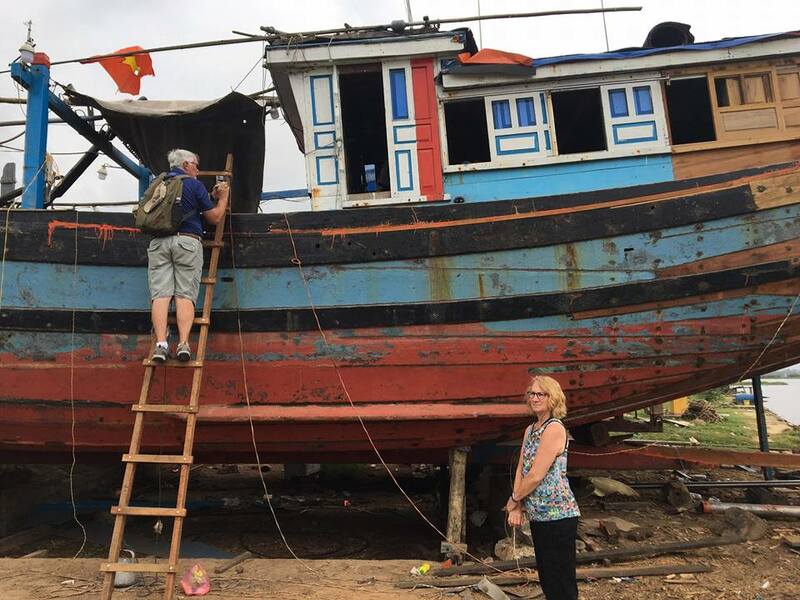 – Visit Kim Bong Carpentry village, Boat building and repairing station, Cam Kim market, wood carving with mother of pearl inlaid. 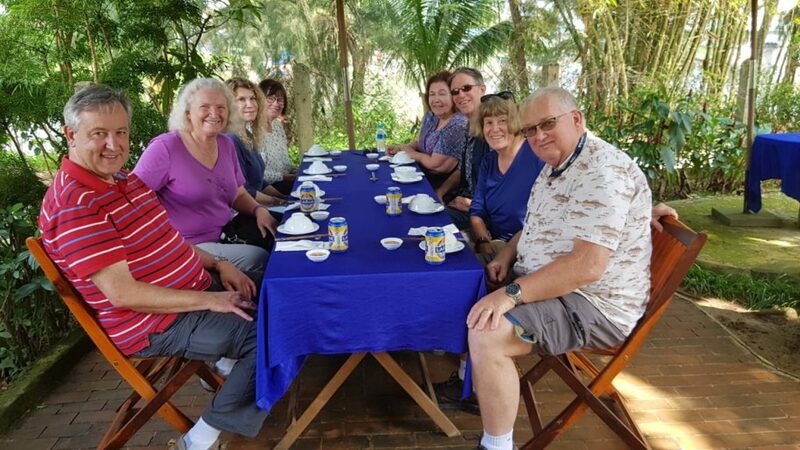 – Visit sleeping mat making family, rice paper factory, Wine making House, Bamboo basket boat Making family .